Stenhus till salu i Le Thor. Köpa hus i Vaucluse, Lubéron, Provence. Hus säljes! 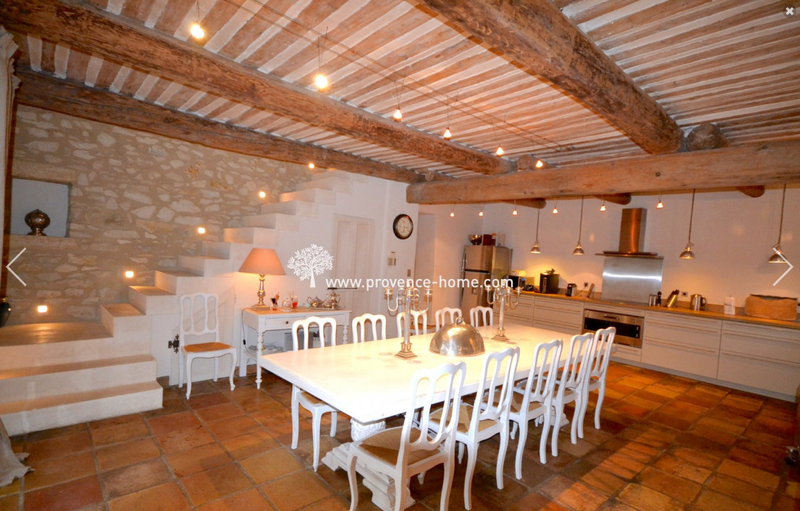 Stone house for sale near L’Isle-sur-la-Sorgue, Lubéron, Provence! 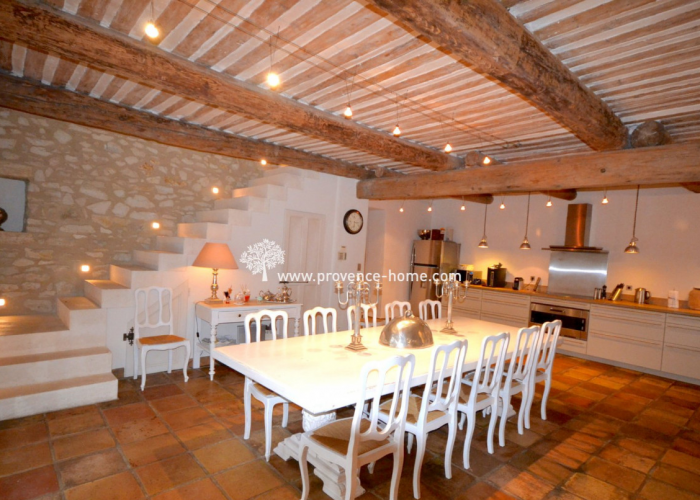 For sale, 19th-century Provençal farmhouse (mas), fully renovated with great taste and materials of character. The spirit of this spacious, comfortable and elegant property makes it an excellent large-family house. 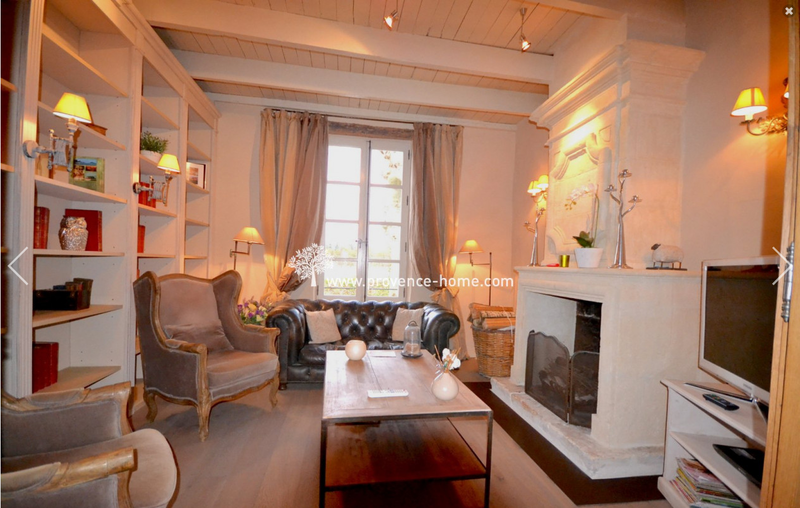 The property has an ideal location under 30 minutes’ drive from L’Isle-sur-la-Sorgue, Avignon, Gordes, and Saint-Rémy-de-Provence. Built in stone, with good ceiling heights throughout, the house has 420 m² of liveable space and 5,000 m² of grounds, of which 500 m² are usable. 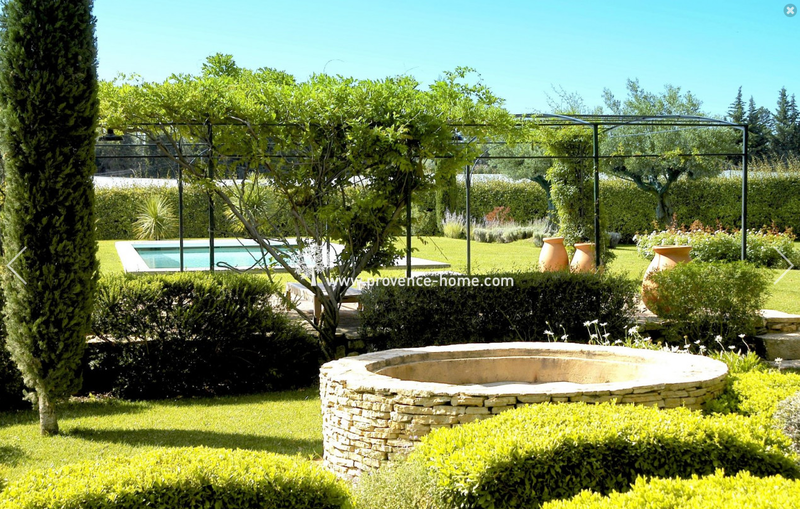 A large heated pool, a spacious garage of 88 m² and a caretaker’s dwelling can all be found within the grounds. 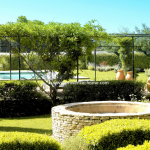 This property is set in an extremely tranquil, green environment. 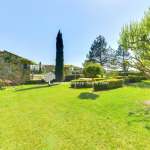 Surrounded by the fruit orchards of the plentiful Vaucluse plain, the house’s location is peaceful and nuisance-free, without being isolated. 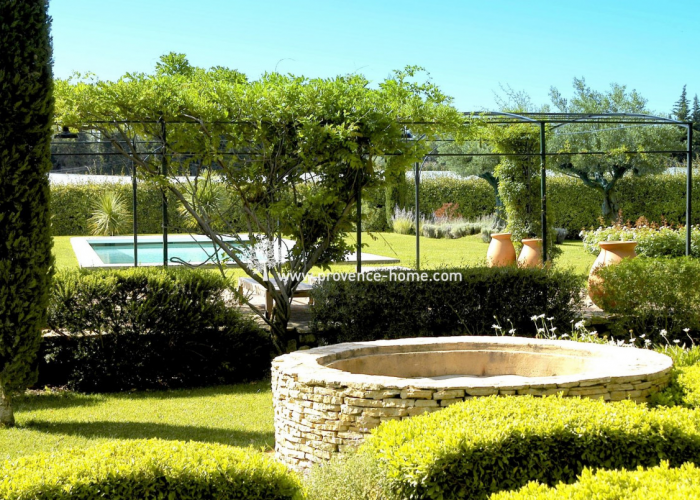 The beautiful landscaped garden features flower beds, a fountain, a pergola and a wrought iron trellis along which runs a vine. 5000 m² of fully-fenced grounds. It also has a very attractive heated pool of 15 × 5 m, equipped with an electric safety cover. 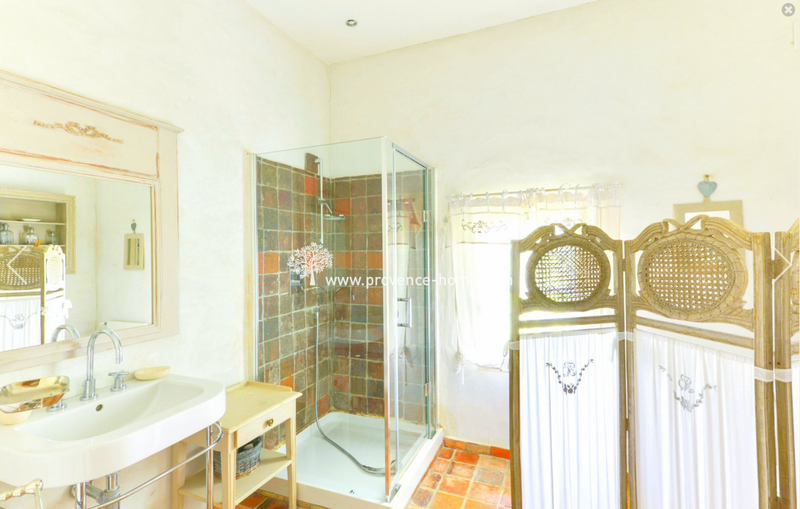 A pool house with summer kitchen, shower room and WC can be found in the vicinity of the pool. Every detail has been intended with moments of relaxation and sharing by the water in mind. The property has a sizeable garage, a caretaker’s dwelling and several terrace areas shaded by ancient plane trees. 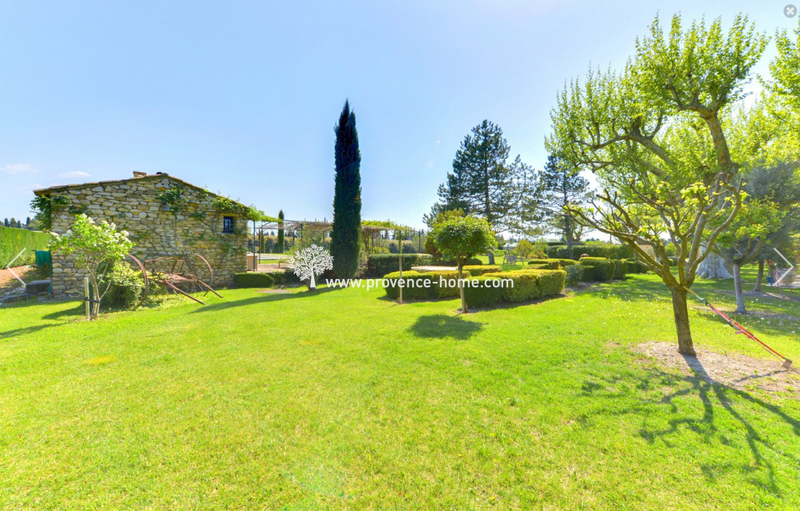 Spacious and comfortable with its 420 m² of liveable space, this superb Provençal farmhouse has a magnificent hall connecting with the ground floor rooms. These include a 48 m² fitted kitchen, a bright living room of 47 m² with stone fireplace, and a library. The first floor has two entirely separate areas, each of which is reached by its own magnificent staircase. 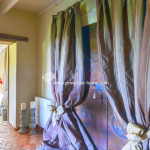 The western part has four splendid double size bedrooms (ranging from 23 m² to 45 m²), each with en-suite bathroom/shower room, built-in wardrobe and WC. 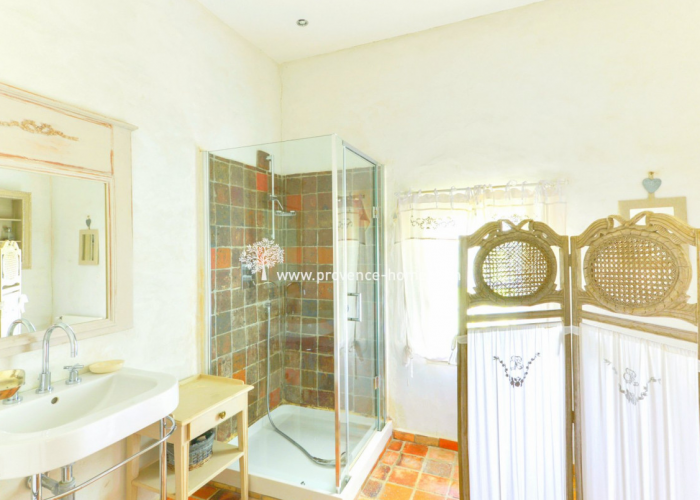 The eastern part has two bedrooms of 16 m² each, sharing a shower room and separate WC. 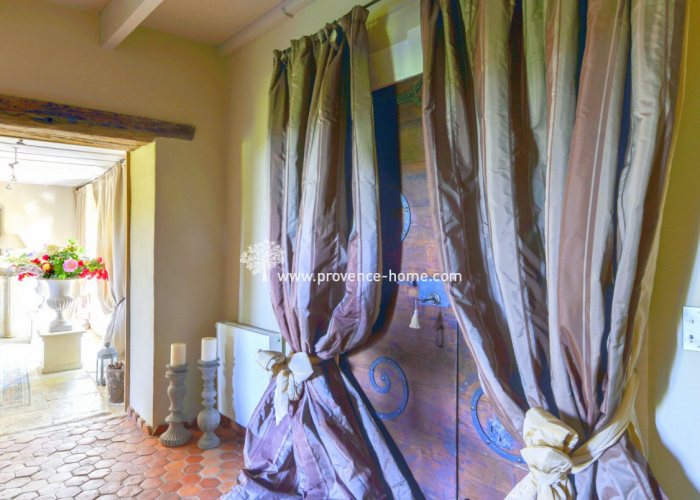 The Provençal farmhouse has been renovated with attractive materials and contemporary, high-quality features including a total of 8 bedrooms and 7 bathrooms (4 with shower and 3 with bathtub). 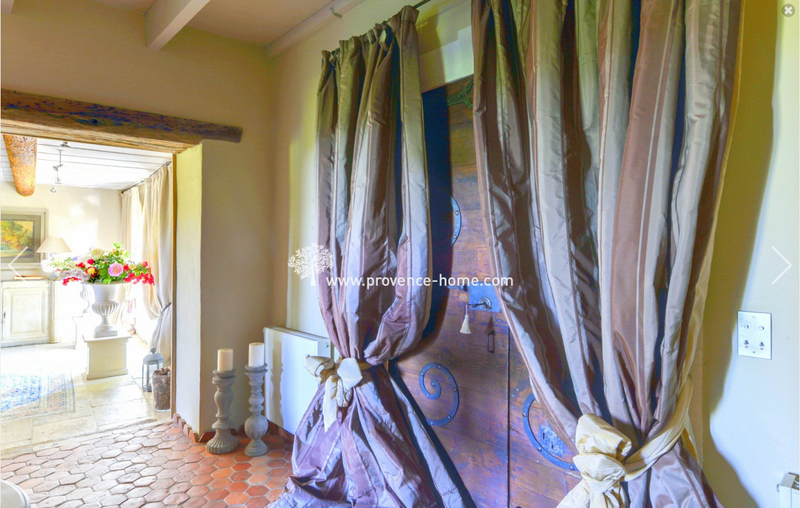 This property at the gateway to the Luberon has exceptional volumes and has been renovated to show off the house’s charming ancient features. This bright, comfortable home with nearby amenities, will suit the most demanding owners. 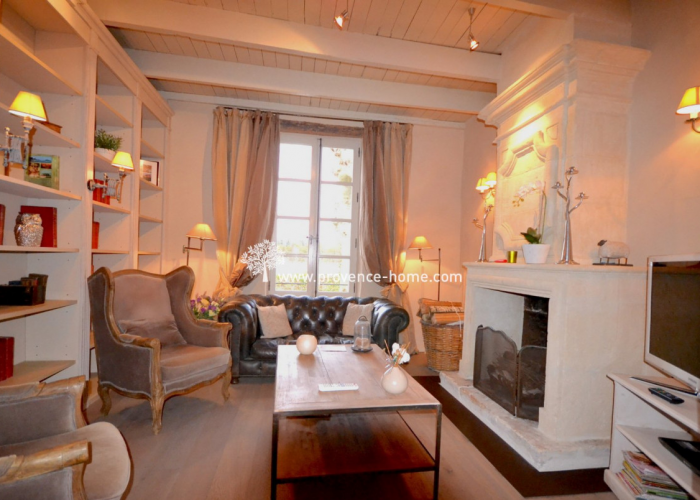 Convenient location, 5 minutes from L’Isle-sur-la-Sorgue, 10 min from the autoroute and 20 min from the TGV station.